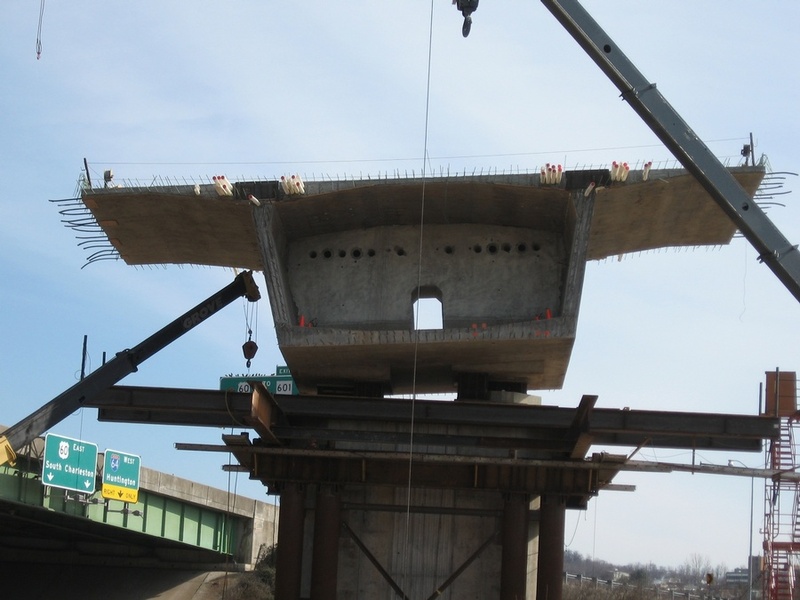 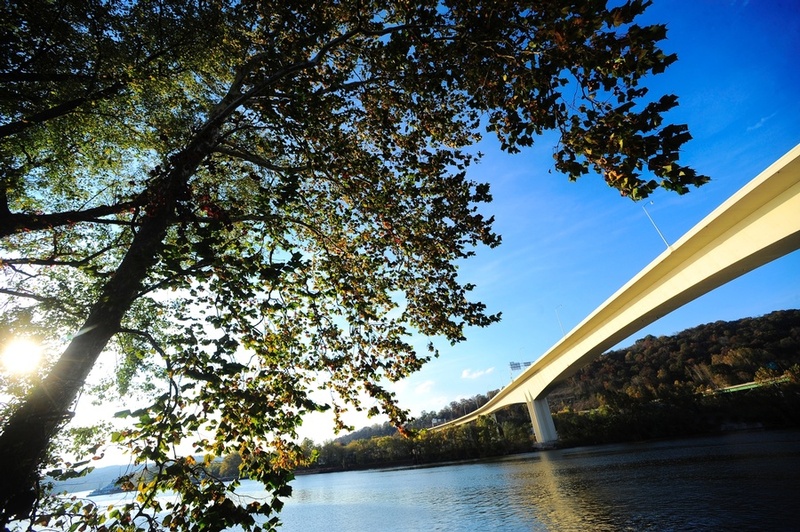 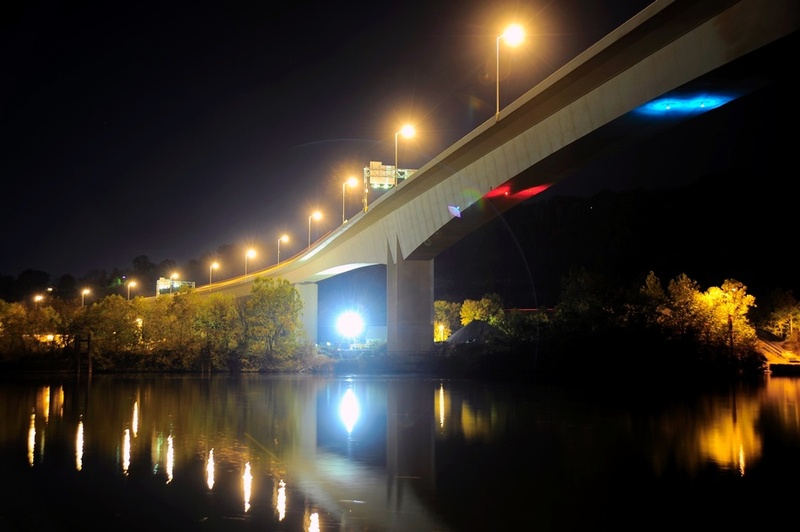 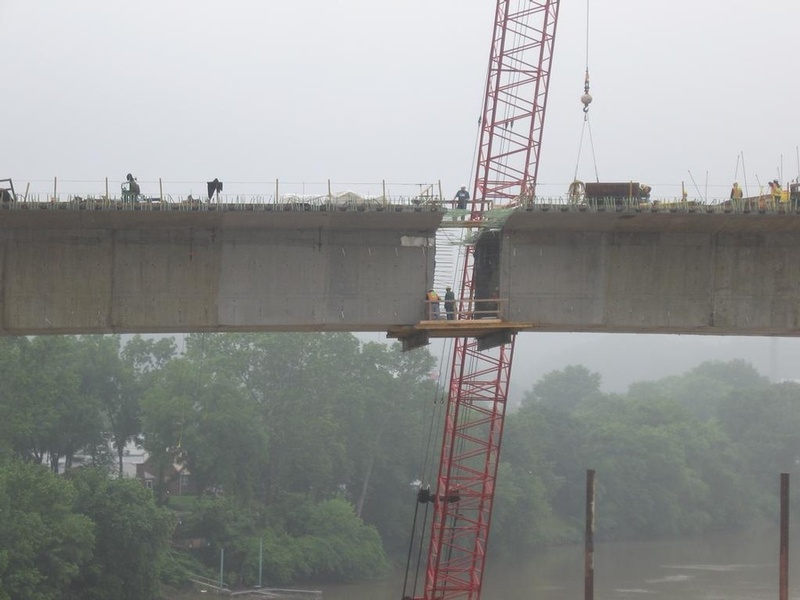 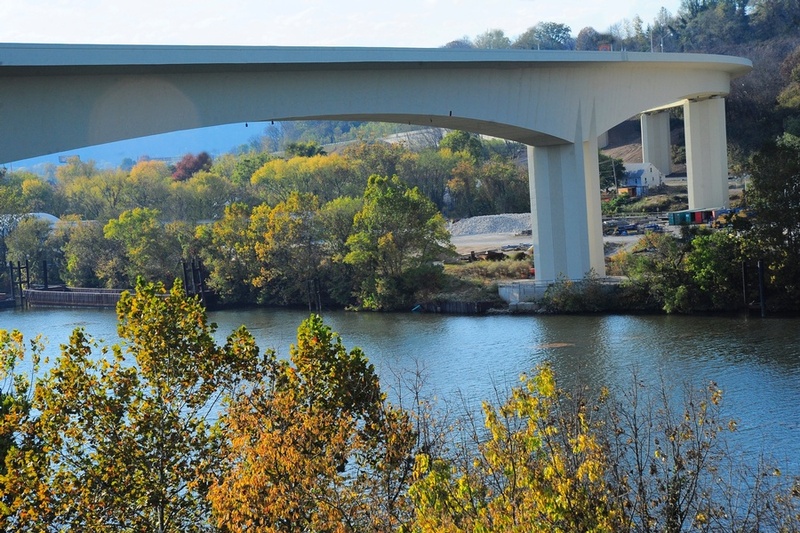 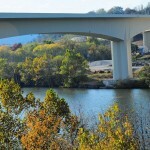 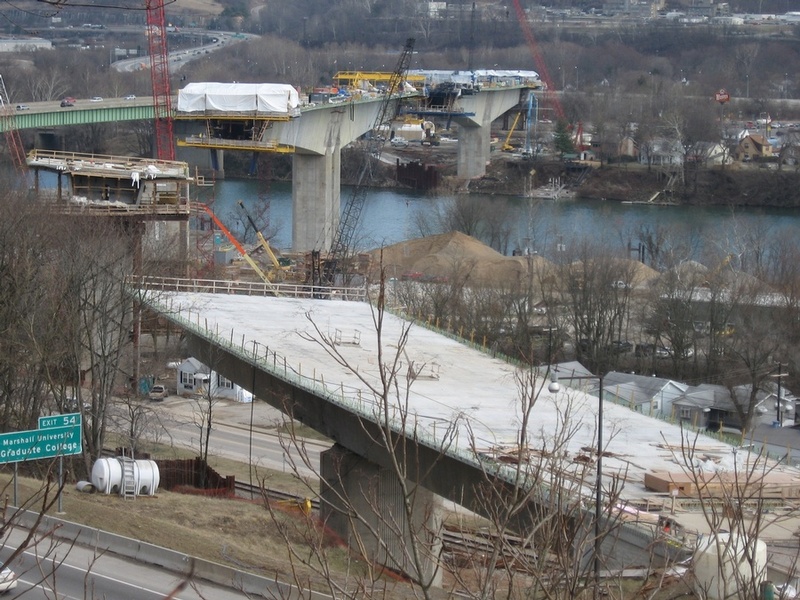 The new Kanawha River Bridge’s 760 ft. main span is the longest concrete box girder span in the United States. 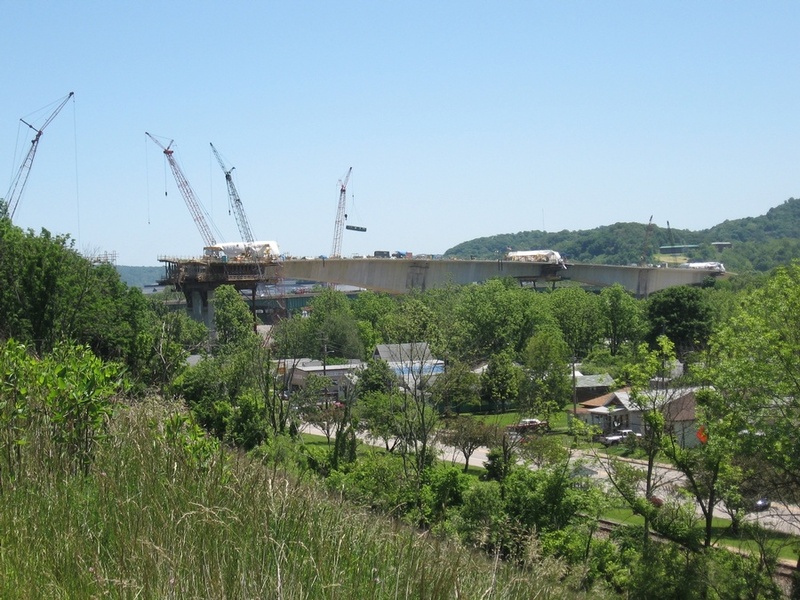 The project is a major piece of a long-term project to alleviate congestion and improve accessibility on I-64 through West Virginia. 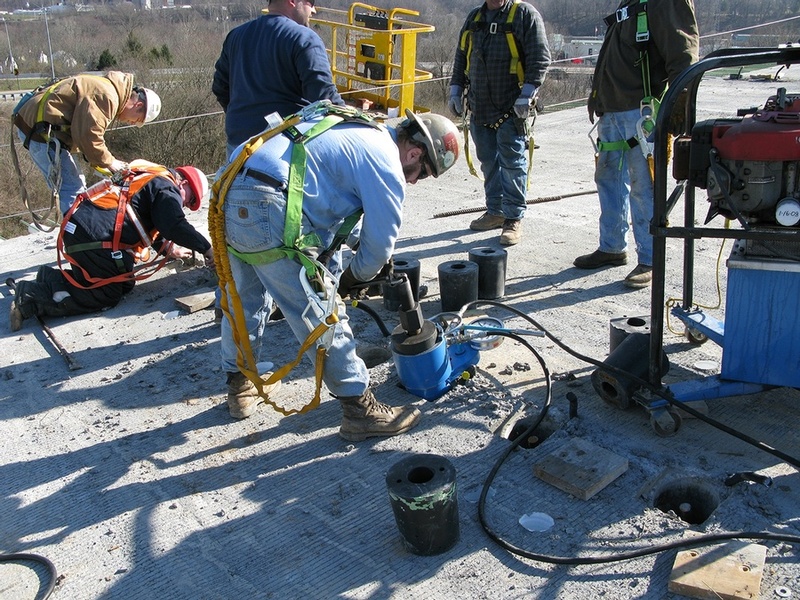 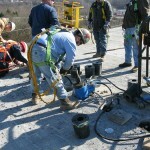 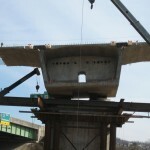 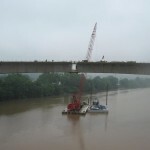 The bridge carries eastbound traffic on an improved curved alignment as part of the widening of I-64 in Kanawha County. 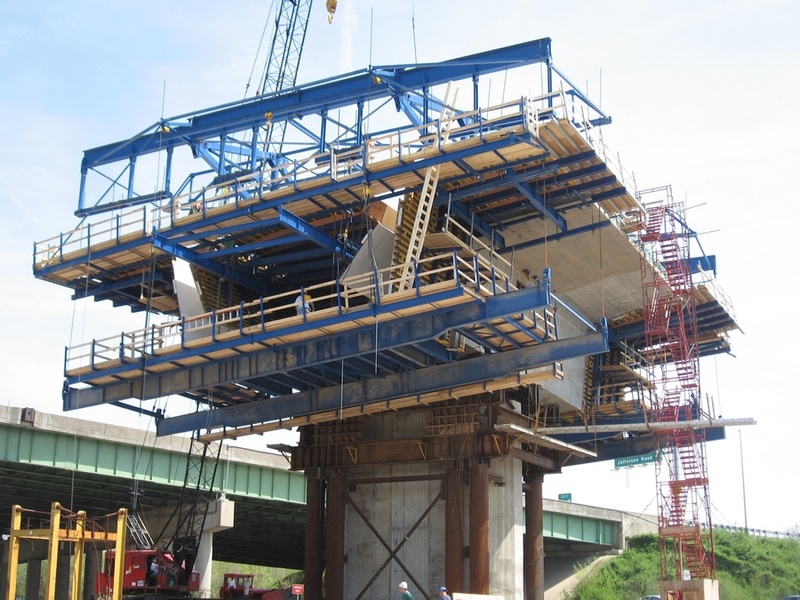 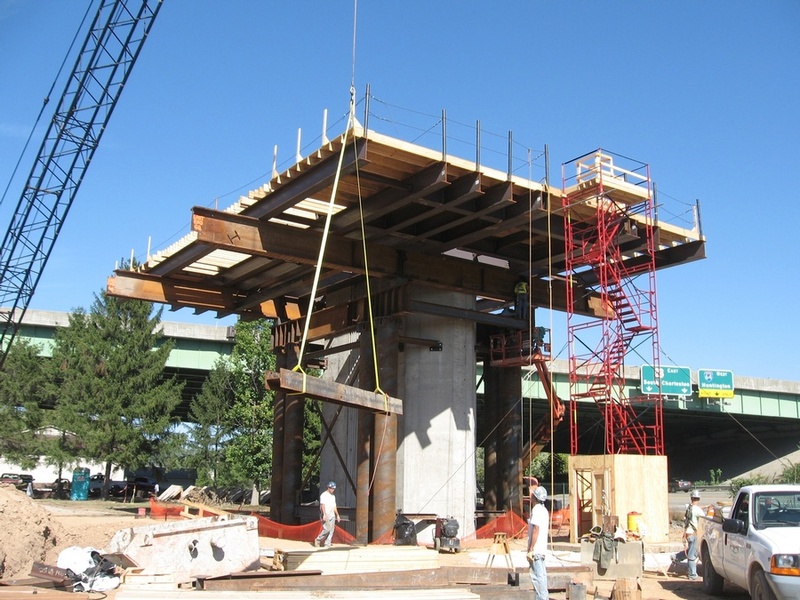 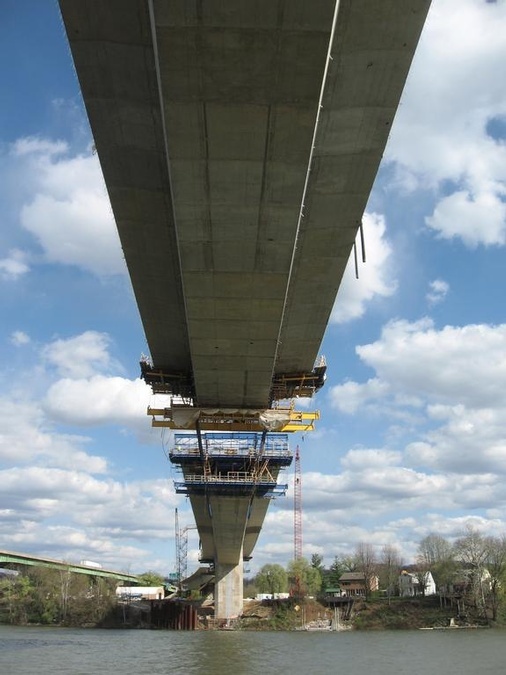 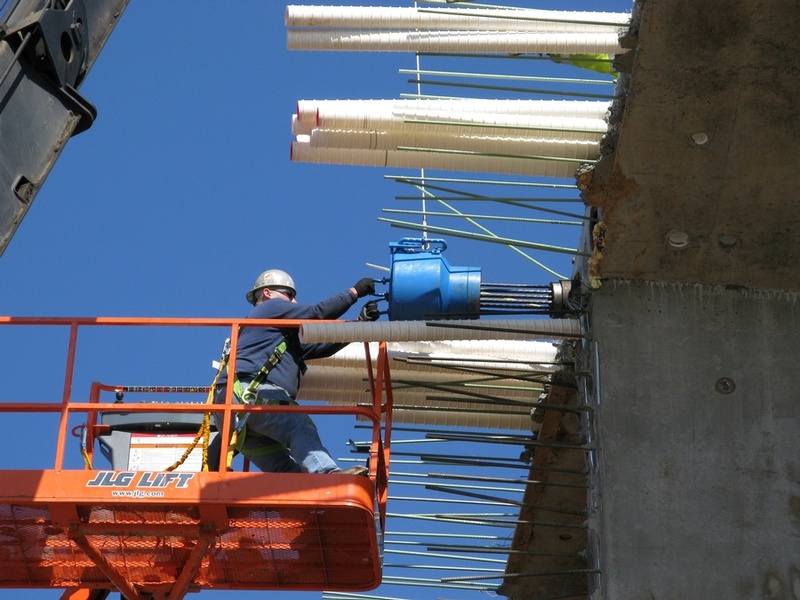 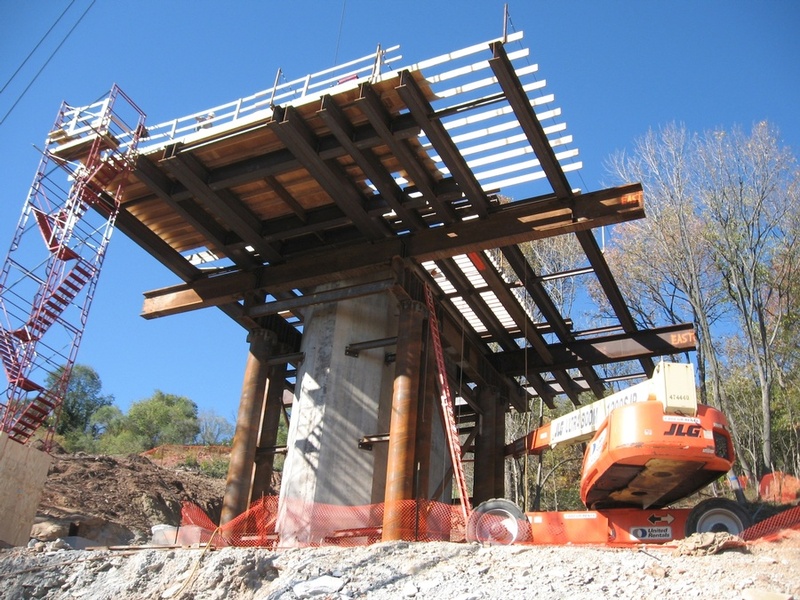 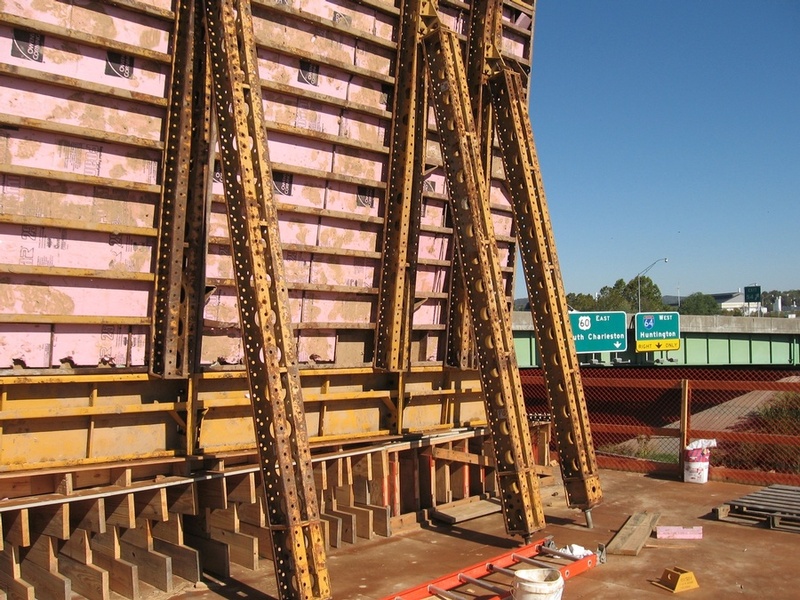 FINLEY supplied support and construction engineering assistance to the contractor during the pre-bid phase of the project and provided full construction engineering services to the contractor for the construction of the bridge. 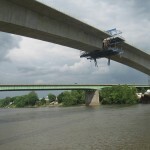 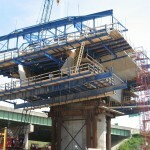 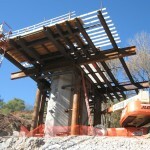 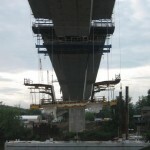 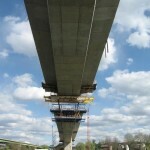 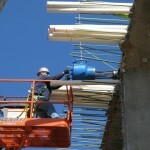 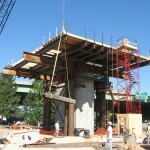 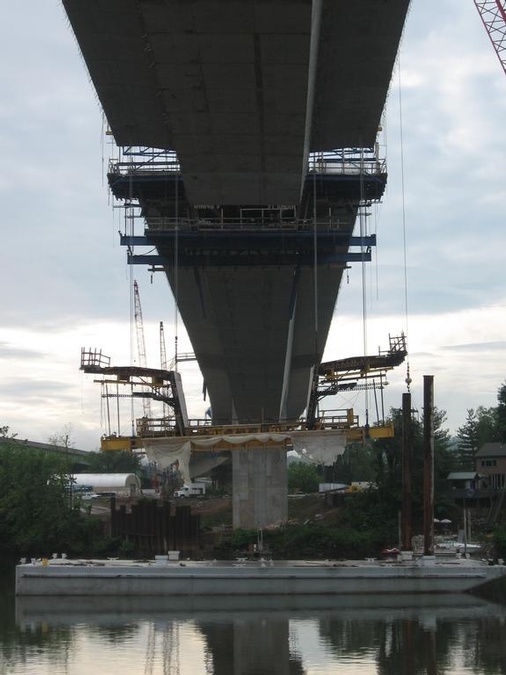 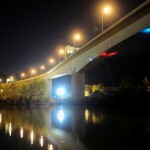 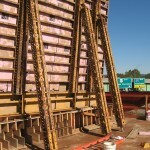 These services included modification of plan details to improve constructability of the bridge, construction analysis & construction manual preparation, geometry control manual preparation, integrated shop drawings preparation, and both design assistance of the temporary works required to build the bridge & design office support during construction. 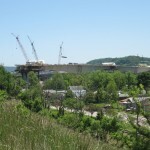 The project design included the construction of seven piers – five on land and two on the edge of the river. 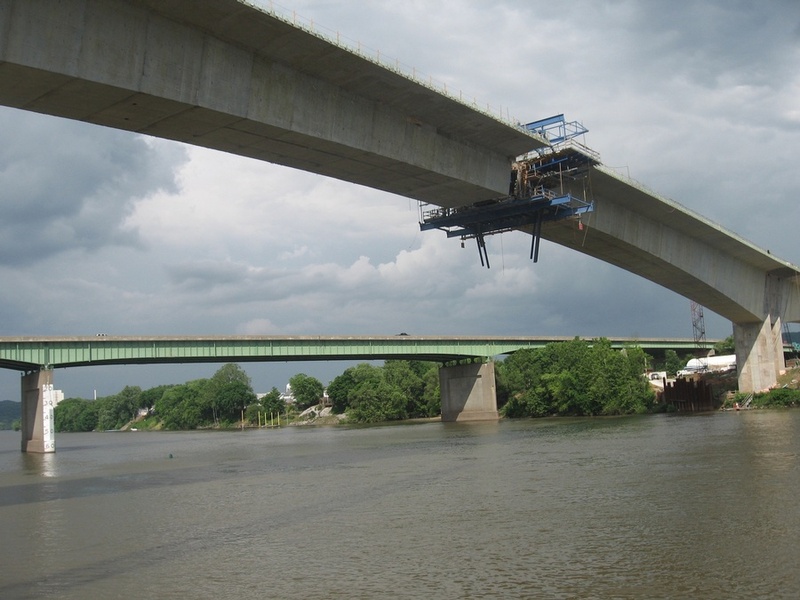 In addition to the 760 ft. main span over a navigational waterway, the bridge includes 460 ft. and 540 ft. side spans and five additional approach spans ranging from 144 ft. to 295 ft. 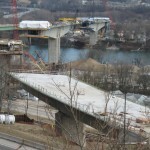 This bridge was completed and opened to traffic in 2010. 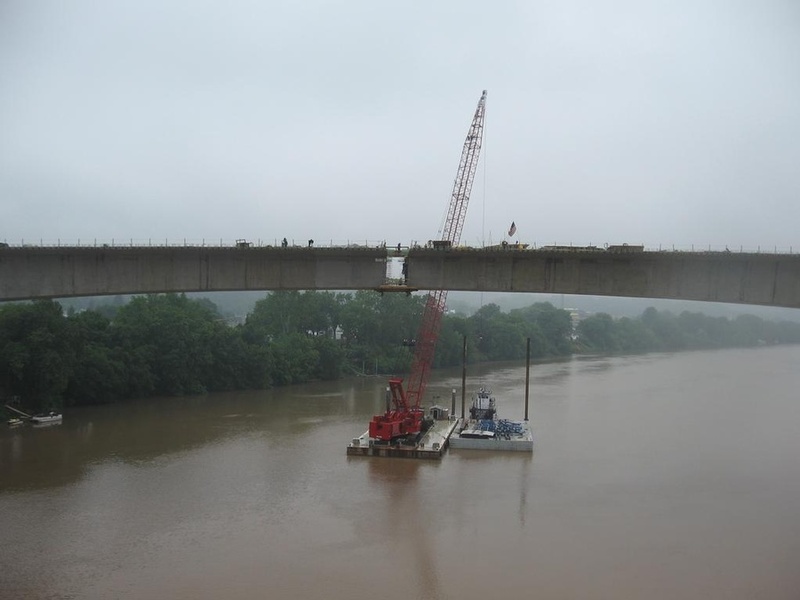 Westbound traffic remains on the existing steel plate girder bridge.